Hello crafters! 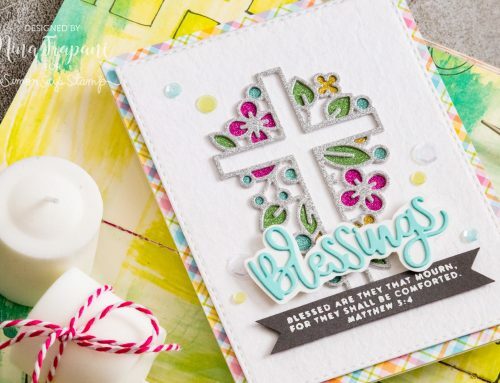 I am excited to be bringing you some inspiration using products from Simon’s new Blossoms and Butterflies collection! 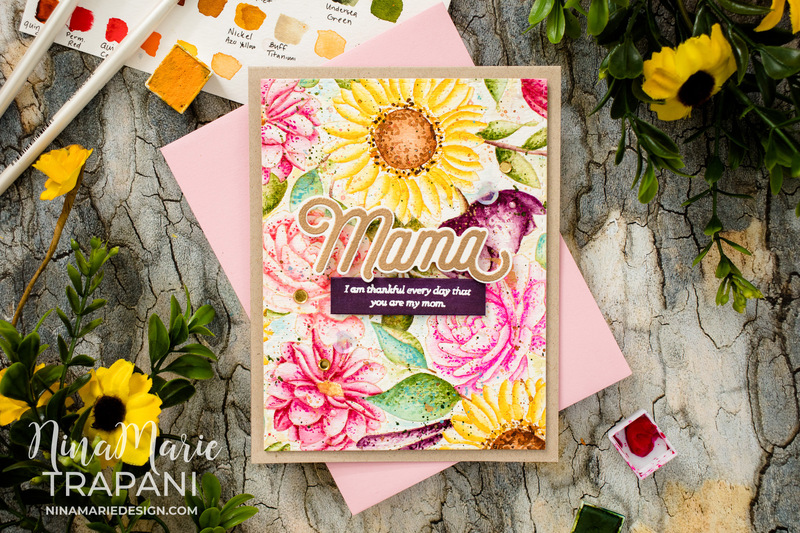 This no-line watercolor card that I made with the Floral Mix background; stamped with Antique Linen Distress Ink on Strathmore watercolor paper, I used Prima and Daniel Smith watercolors to color it in. The Antique Linen Distress Ink hides well under the watercolors, which gives that great, no line effect! There are splatters of paint and gold watercolors on the background as well for added texture. 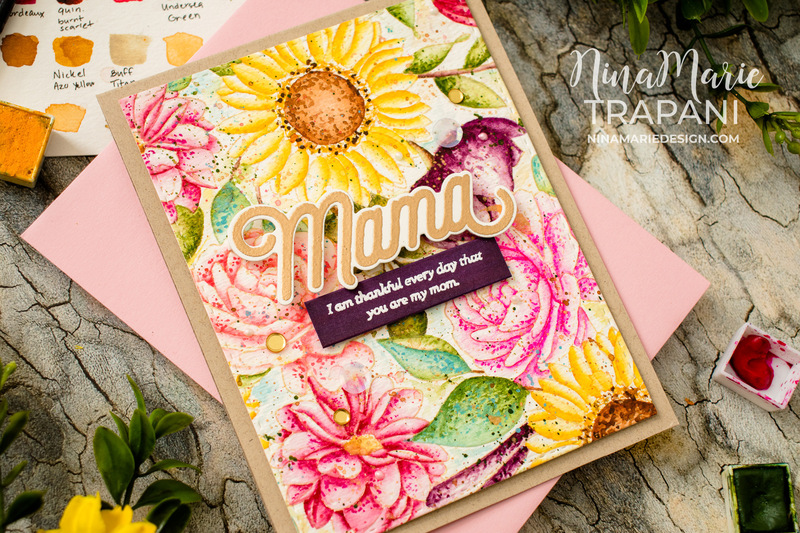 Next, I die cut the background with the Stitched Rectangle dies from Simon Says Stamp and mounted it onto a Desert Storm card base; the kraft color adds the perfect natural touch to the overall design! 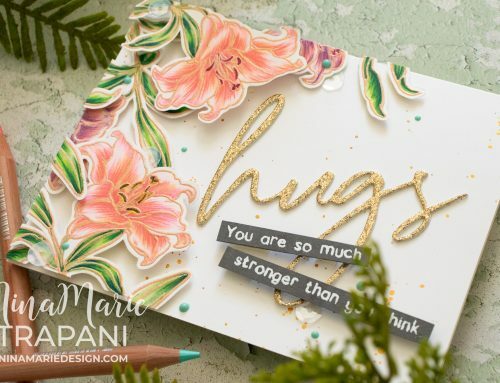 For sentiments, I used an older Simon set called Love You Mama (along with the coordinating dies); this gorgeous script is embossed in Antique Gold powder, and paired with one of the smaller sentiments in that set. 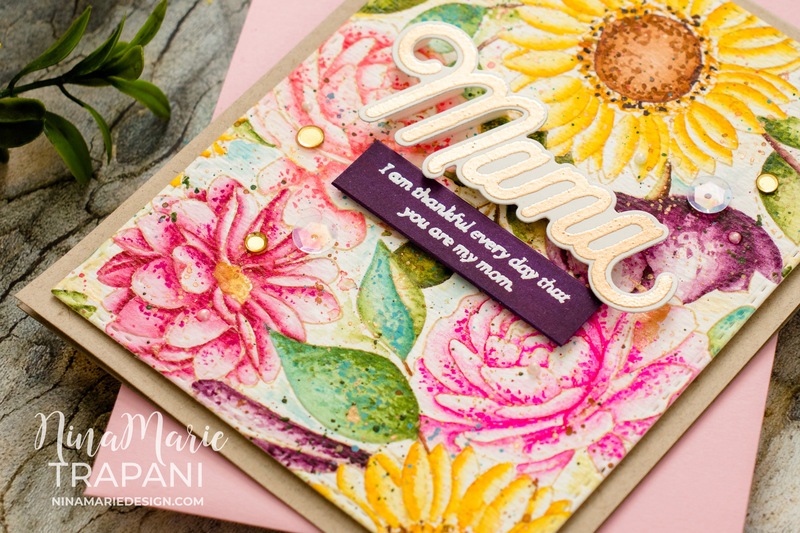 I embellished the card with a few sequins from Simon’s new Spring Flowers mix, and Cloud 9 Dream Drops from Tonic Studios. Finally, I paired the card with a Metallic Cotton Candy envelope from Simon Says Stamp; the pink was the perfect coordinating color for the florals in the background! 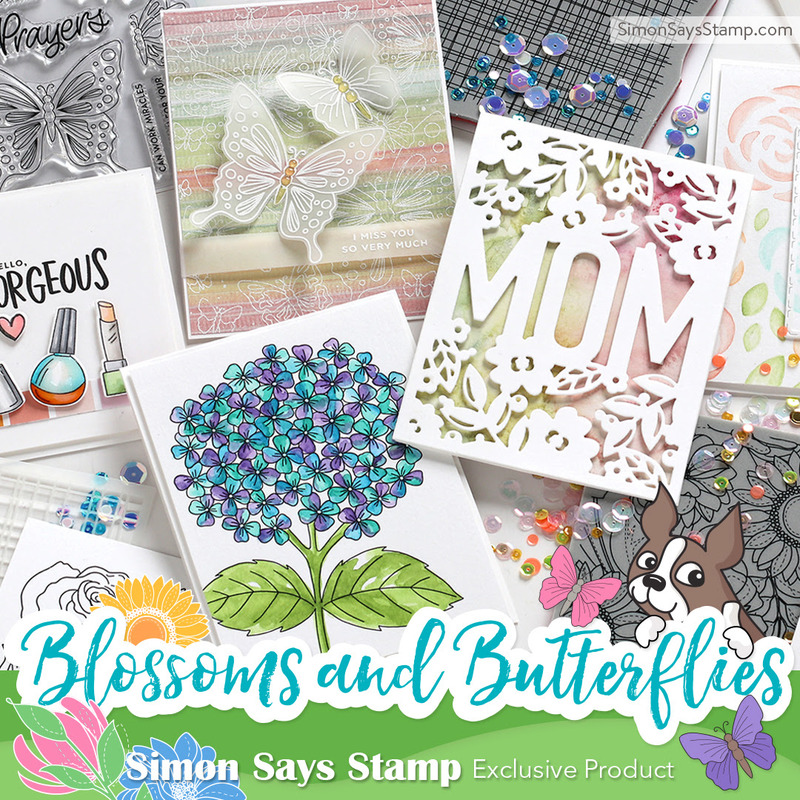 I hope you enjoyed this project, featuring new products from Simon’s Blossoms and Butterflies collection. 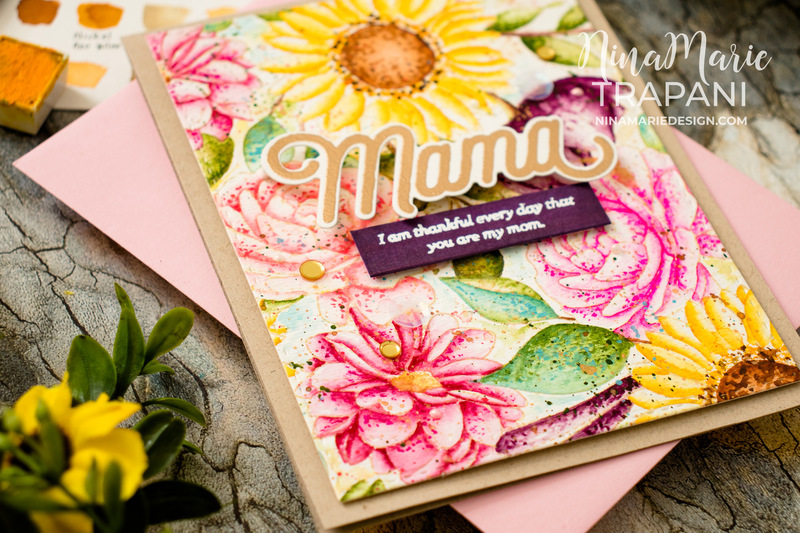 Be sure to stop back tomorrow for more inspiration, as I am going to be part of their release blog hop! 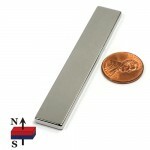 Thanks for stopping by and spending some time with me today; I will see you soon! 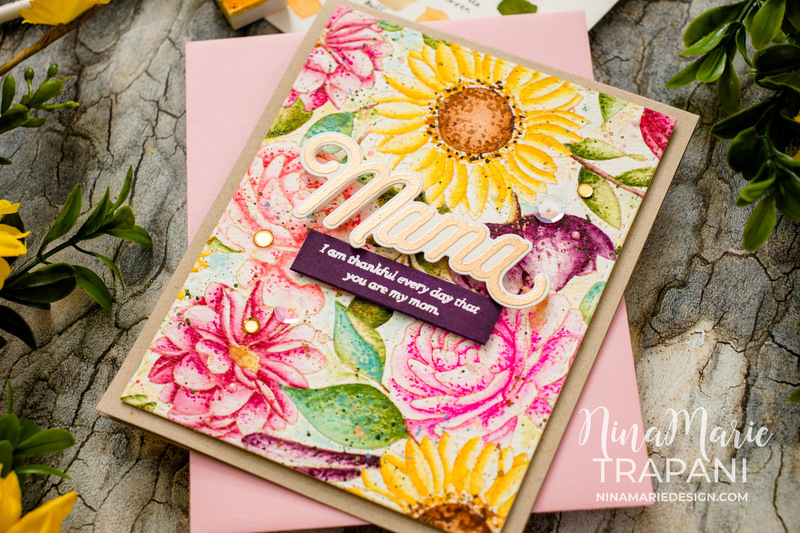 WOW Nina, this is a gorgeous card!